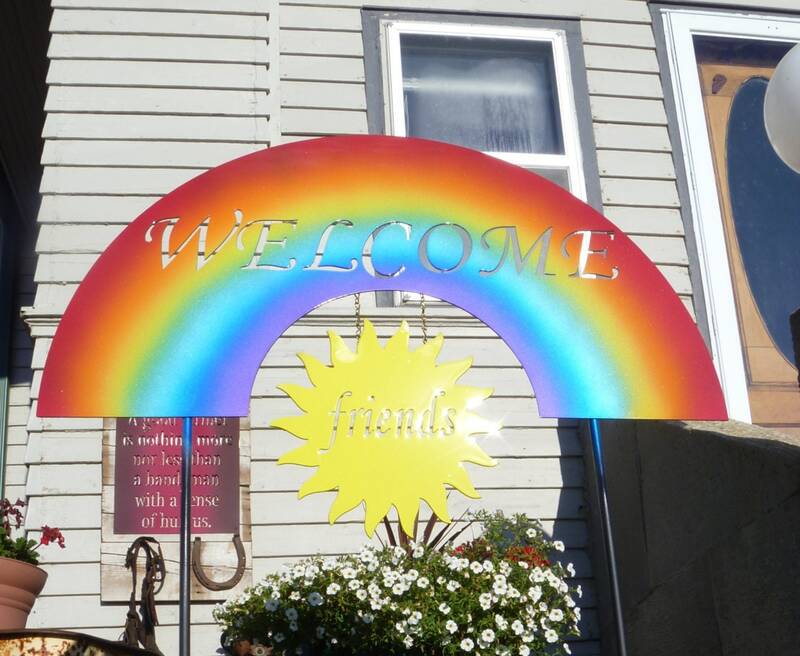 Beautiful "Welcome friends" sign greets your guests with a gorgeous rainbow! 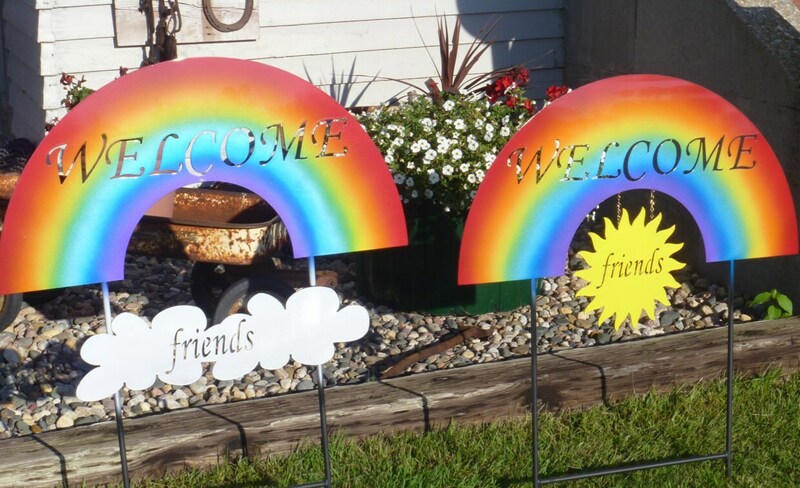 Extra-large rainbow-shaped Welcome sign will add beautiful color to any landscape. Great at the garden gate or your front door. You won't believe how smooth this multi-color paint job is. All colors of the rainbow are applied with automotive quality paint. Then it's clear-coated for a finish that will last for decades. No peeling or fading like spray paint! Stakes are reinforced to go into the ground easily. 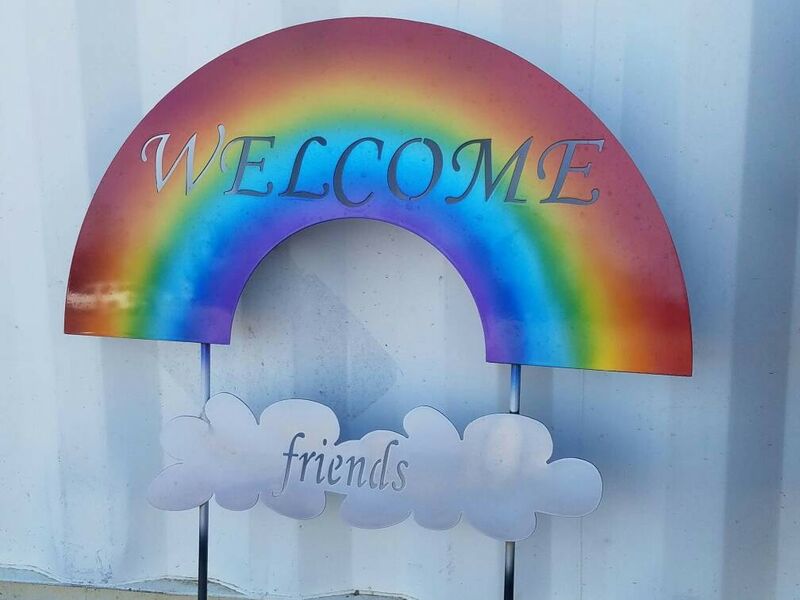 Entire sign is 30" wide and you can choose if you'd like a sunshine or clouds below the rainbow. You will not find this sign anywhere else! One of a kind design! Makes a great house warming gift! 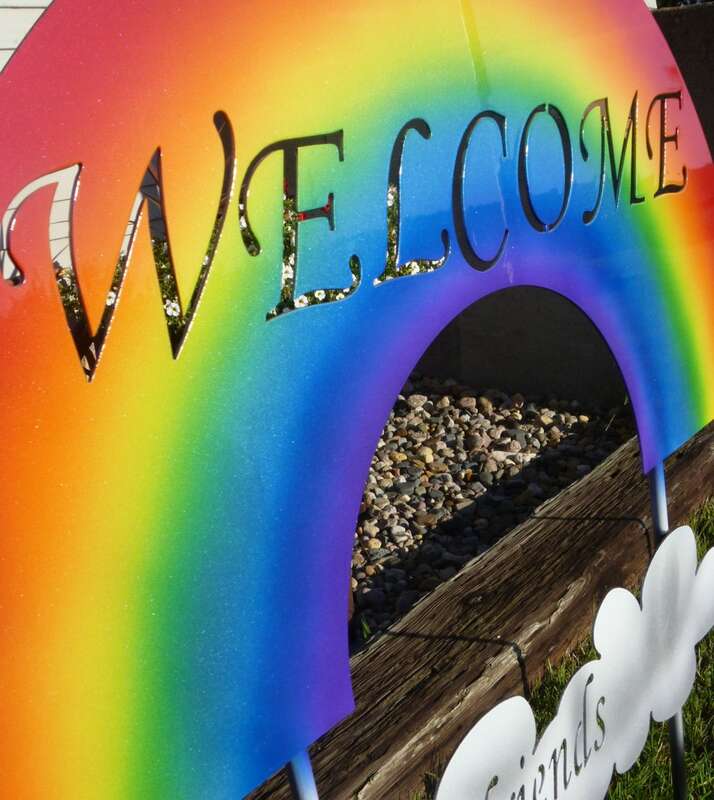 We hope you'll love our rainbow signs as much as we love creating them! Photos don't do justice to the beautiful painting skills. All of our products are made by the two of us in our home shop -- 100% made in USA and made to last. 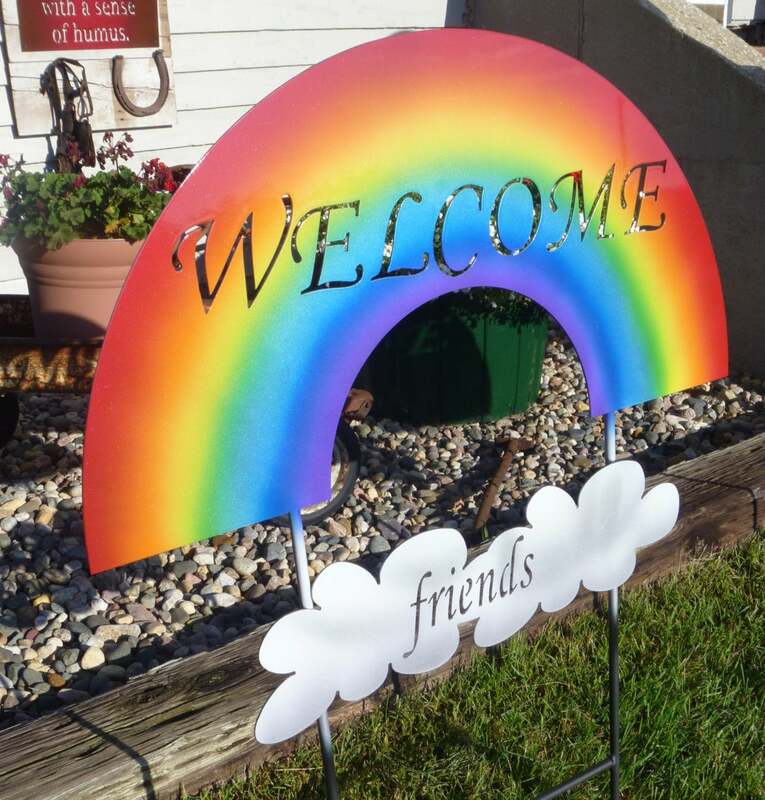 We hope you'll love this welcome sign as much as we loved making it!